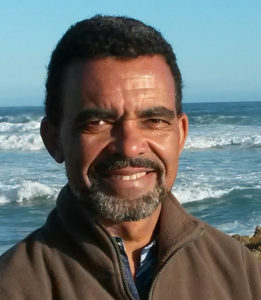 David Obura is a Director of CORDIO East Africa, a knowledge organization supporting sustainable management and conservation of coral reef and marine systems in Eastern Africa/the Western Indian Ocean. His primary research is on coral reef resilience, in particular to climate change, and the biogeography of Indian Ocean corals, and has worked extensively in coral reef monitoring. Coral reefs are iconic and among the best-studied marine ecosystems globally, yet local to global pressures are decimating them rapidly. He is working on ways to bring this knowledge into practical frameworks to respond to local needs and national and intergovernmental goals, such as through new approaches in the Global Coral Reef Monitoring Network, and linking these with Red Listing of corals and coral reefs.